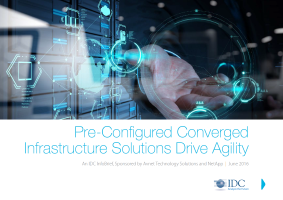 Download this IDC InfoBrief to see how converged infrastructure solutions can complete your organization's digital transformation and meet the needs of the challenging business environment. Enterprises are leveraging new IT capabilities to differentiate themselves and deliver new products and services to their customers. Converged Infrastructure systems are a viable solution to improve data center utilization and business agility.